It’s THAT time of the year! Spring has sprung. Chocolate bunnies line the shelves at your local drug store. And if you watch golf, you know the first major tournament of the PGA season is just around the corner. If you’re anything like me, you can’t wait for the Masters. Bobby Jones. Magnolia Lane. Green jackets. Amen Corner. When I tune in, whether by television or online, it seems as though the beauty and serenity of Augusta National magically fills the room. For one whole week, the essence of golf feels different. In a strange way, golf feels pure and sacred. 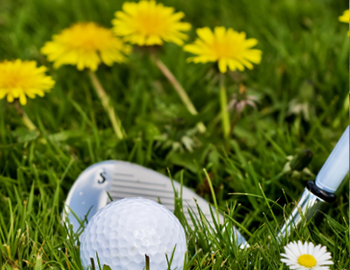 During Masters Week, we get to watch this sport we love unfold in a magical way. I absolutely love it! It’s my favorite tournament of the year.